Phillip gets a Mage2.tv preview, Kalen ponders post-developer life, Phillip covers 2017 in review, and – how to go about picking a local Magento partner. QOTD: Do merchants overrely on the agency they pick being local to them as opposed to being experienced with specific platforms (Magento) / verticals? 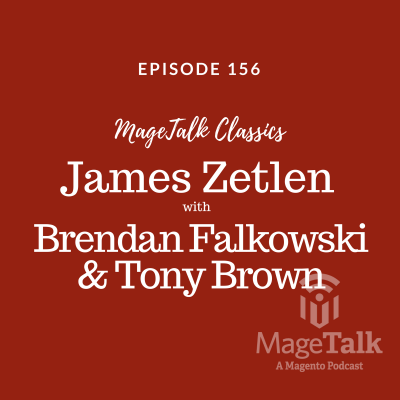 The fun continues with Magetalk Live, Day 1 Part 2!!! The International Women’s Day episode with Sherrie Rohde and Tanya Soroka. Having more diversity in the workplace has been proven to improve performance. The group talk about the experiences of women as a minority and Tanya shares the differences she’s seen between working in US compared to Ukraine. Would Magento Imagine happen without women? Yes, but in someone’s backyard (If Phil & Kalen were organizing it). The group also talk about how Magento also announced their partnership with Women Who Code, the Increasing Diversity in Tech panel taking place at Imagine and their new CMO, Andrea Ward. “Do you value me because of what I know or do you value me because I increase your diversity count?… I want to have a job because I’m good at what I do.” – Sherrie Rohde. We all have implicit biases, what can we do to recognize and change that? We don’t intend to be biased but it’s a natural thing. How diverse is the community and Magento? If you walk into a room and you’re the only girl it can feel a little strange. We need more female role models to help women feel like they belong at events and within the community. “There are more millennials in China on Alibaba shopping everyday than there are Americans, period. “ – Phil Winkle. We need to think globally. Diversity and thought diversity are extremely important for getting different perspectives from across the world, after all most of the world is not in the United States. Lets continue the conversation on diversity. These show notes are brought to you by Rebecca Brocton. Phillip and Kalen sit down with Rebecca Troth! Who is Rebecca Troth? She started with Magento in 2013 as a Junior Developer and introduced herself to the Magento community by means of a Magento YouTube Channel in June 2016. 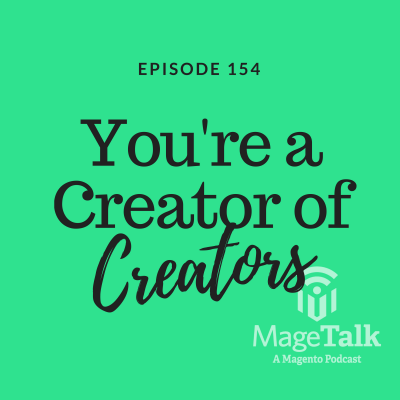 Now the Channel Manager at Ingenico ePayments (Previously Project Manager at iWeb), she is looking forward to getting more involved with the community and having a regular spot on Mage Talk 😜. Y’all read for this? There is going to be a MageTalk booth at Magento Imagine 2016! Live interviews, news and coverage of the event. Will you be there? Then look out for it! Cloud first. Magento are pushing their cloud offering to become a rapid development and rapid deployment enterprise platform. Age of Platforms – Magento have the youngest platform on the market. The partner channel to start to recognise community work more. The growth of ship from store. Will Magento start to eyeball some shipping acquisitions? The group also get onto the Magento development and deployment process along with the issues raised by the community recently. Magento acquired Bluefoot, a Powerful PageBuilder which has already been given to enterprise partners and is coming for community edition. 2017 is Magento 2’s year!